A glyph is a picture or symbol that gives information. Name glyphs are great for elementary aged students and I have even used them successfully with high school ESL students. 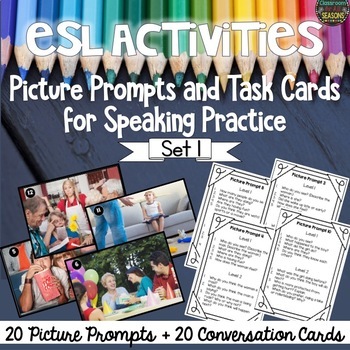 Step 2: Give students a piece of white construction paper or card stock. 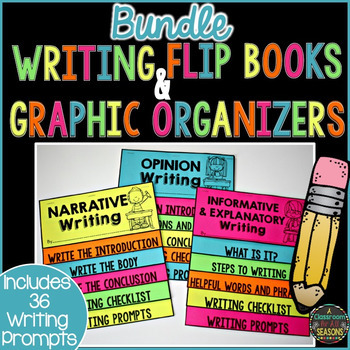 (You can also use white computer paper but you may need to tape it to the desk for students to display their name tag.) 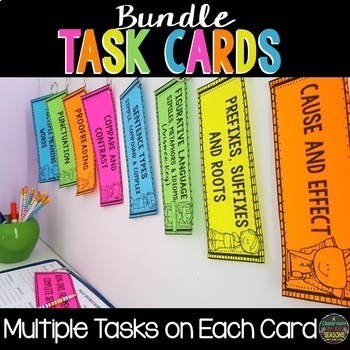 Fold it horizontally so it will stand on the student's desk. 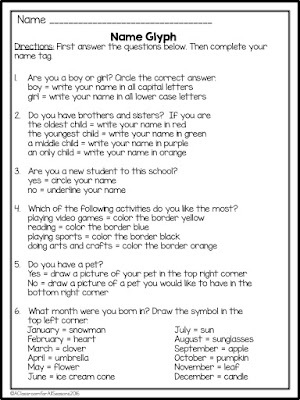 Step 3: Students will then complete their name tag with the information from the worksheet. 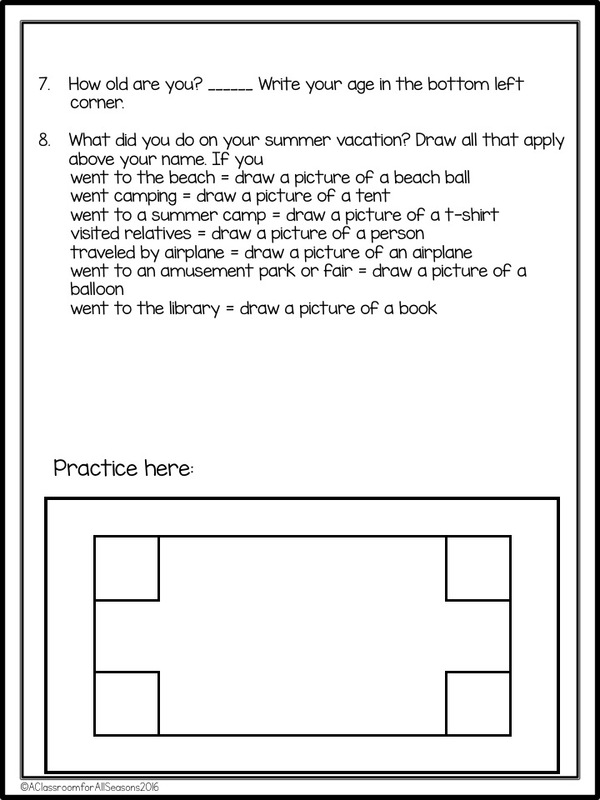 It is very important that they follow the directions closely and maybe even do a practice name tag first. 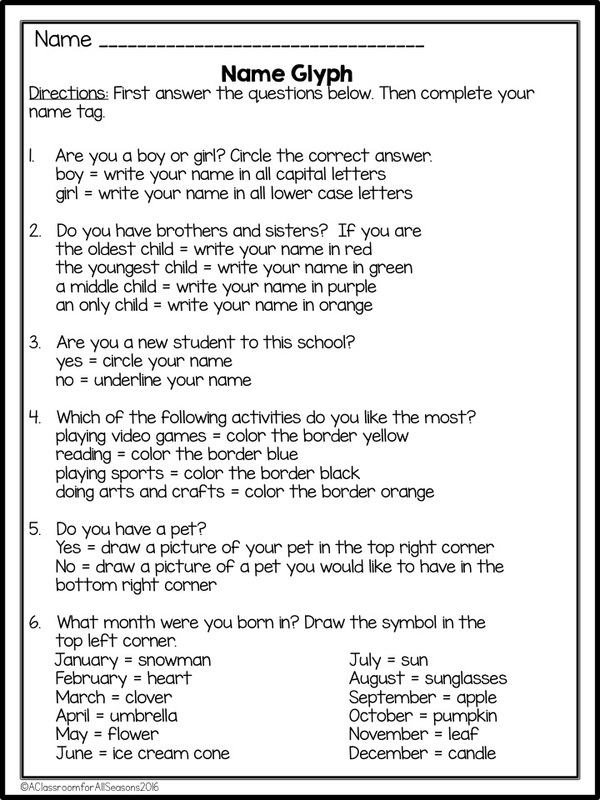 Step 4: After students complete their name tags, there are number of follow up activities you can do. 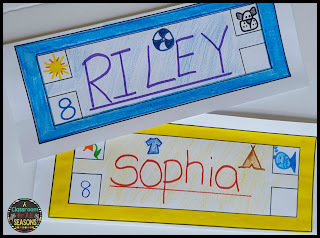 - Have students introduce a partner by interpreting a classmate's name tag for the class. 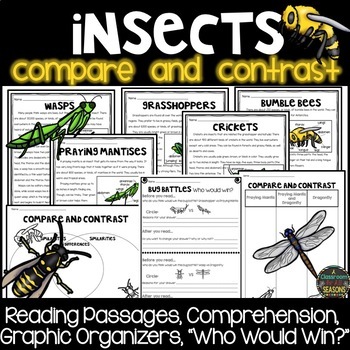 - Students can write a paragraph about another classmate just using the information from his or her glyph. 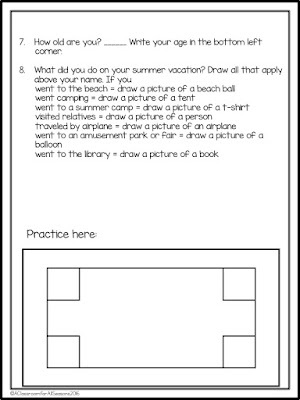 - You could also do a number of graphing activities, such as graphing birthday months or favorite activities of students. 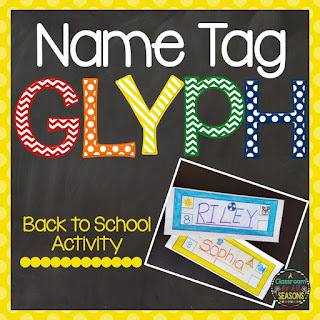 - Prepare a glyph worksheet for your sub tub so your substitute will have a name tag for each student. If you'd like my free name tag glyph, download it here!